I'd been meaning to ask Burger Beast, who is my expert on such things, what was his favorite Cuban sandwich in Miami. Then I found myself driving through Little Havana on the way back from court yesterday, and may have come up with my own answer to that question. 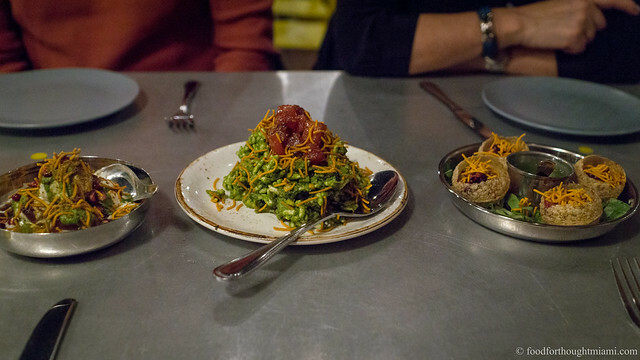 Doce Provisions is a pocket-sized restaurant on SW 12th Avenue, just a couple blocks north of Calle Ocho. (The spot used to be Alberto Cabrera's Little Bread). There's not much to it: a few tables, a counter along the wall lined with stools, and an open kitchen, though a roomier patio in back provides outdoor seating if weather permits. 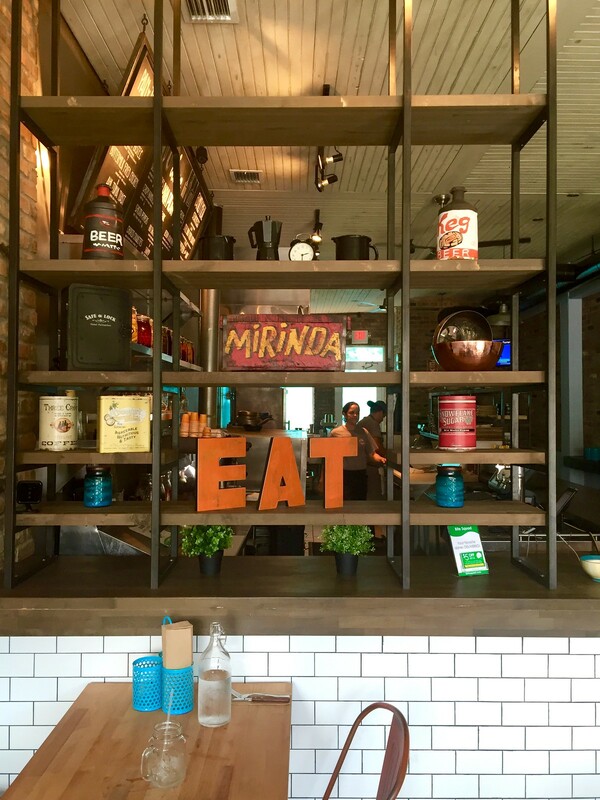 The menu is pretty tight too: the centerpiece is five varieties of sandwiches, bookended by several appetizer type items "para picar," and five bigger "family meal" options, all available in small or large portions. (You can see all my pictures in this Doce Provisions flickr set). 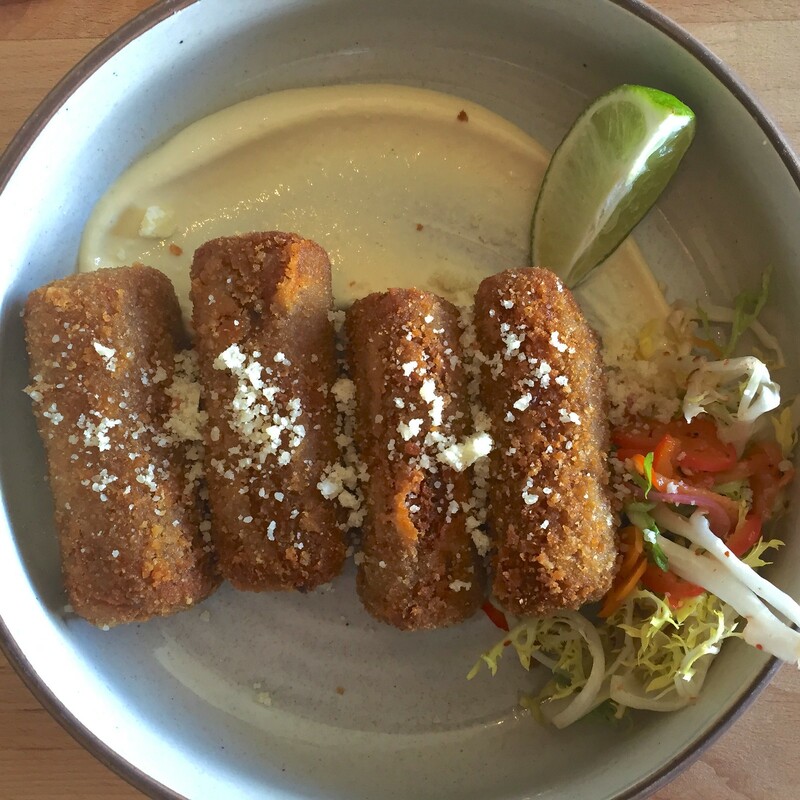 The crumbly exterior of Doce's croquetas encases a filling of Miami Smokers chorizo bound in a molten bechamel sauce. These would hold up well in a croqueta showdown with just about any others in town, save maybe Michelle Bernstein's ethereal versions. At $5 for four pieces, that's not too shabby. And while a "mostaza" dipping sauce tastes more of mayo than mustard, a delicate little side salad of frisée and slivered pickled peppers provides exactly the zing I was looking for. It's a solid opening act to the main event: Doce's El Cubano. 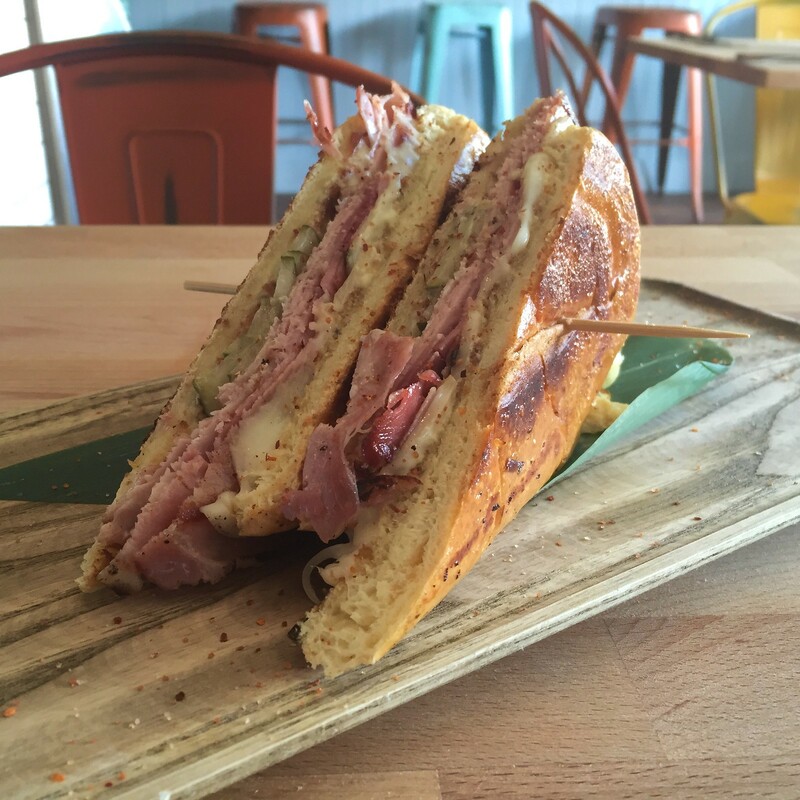 This Cuban sandwich is unorthodox in several respects. There's thin-sliced smoked pork loin and cured soppressata here, versus the traditional roast pork and ham. The bread is neither the customary, flaky Cuban bread nor the sweet, eggy medianoche variation, but lies somewhere in between: the crumb more tender than the former, the crust a bit more substantial than the latter. 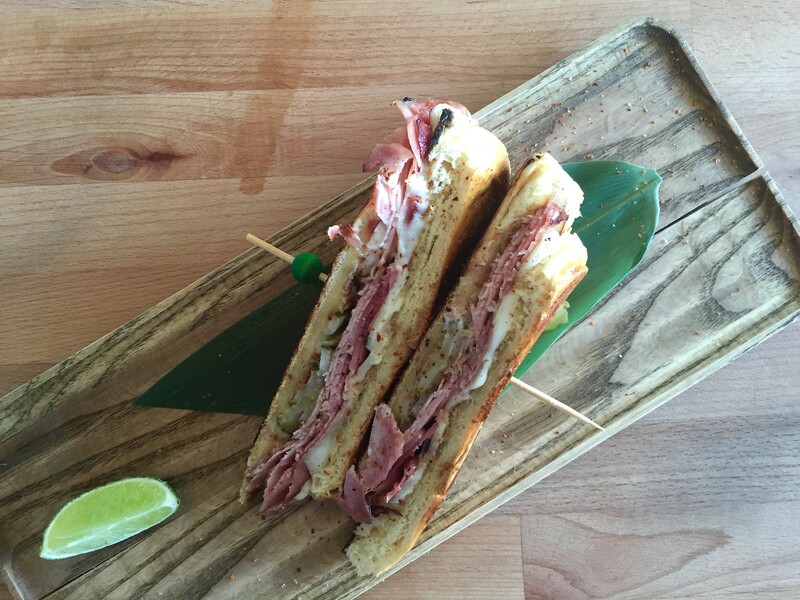 But its composition – its architecture, its essence – is a Cubano through and through. There's perfect balance here: a couple different types of salty, savory meats, oozing, melted Swiss cheese, the tangy contrast of the sliced pickles, a little zap of mustard, all of it smoothed out by a mojo aioli. It is as good a Cuban sandwich as I can recall ever eating. And the kicker? It's only $8. The rest of the menu is mostly of the comfort-foods, crowd-pleasing genre, much of it with a Cuban bent, but suggests the same inclination to tweak and improve on the basics: disco fries are topped with "homemade 'merican cheese" and short rib gravy; sour-orange and achiote brined lechon asado is stuffed into buns with carrot habañero green pineapple confit; the pan con bistec sandwich includes shiitake mushrooms, shallot marmalade and truffle cheese fonduta; fried chicken comes with sweet plantain waffles, pickled peppers, guava jelly and sriracha honey. 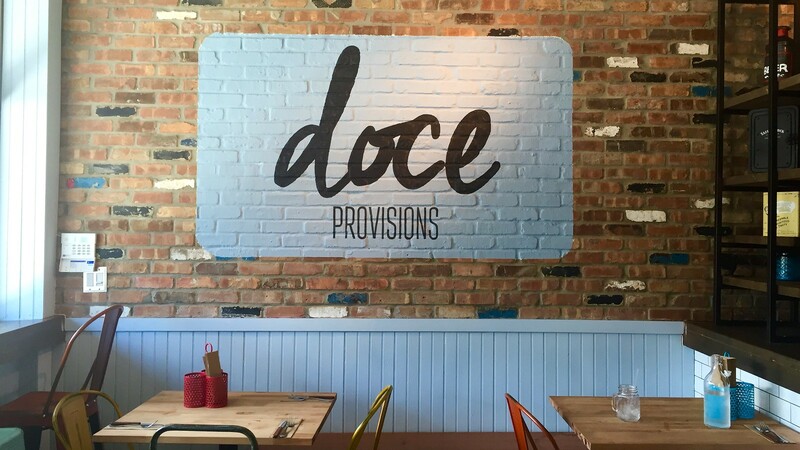 What I know of the folks behind Doce Provisions is only what I've read in this piece in The New Tropic, a profile of chef/owners Justin Sherrer and Lisetty Llampalla from last year. He's opened several CinéBistros; she's worked with Ralph Pagano at Naked Taco and Naked Lunch. I'll be honest: nothing about those backgrounds would lead me to expect much. But after many years of organizing our Cobaya dinners, often with "unheralded" chefs, I've learned such expectations are pointless - often the folks who toil away in nameless hotel restaurants or other nondescript venues have a lot more technique and talent than the young pups who eagerly tout their stints at Alinea or Eleven Madison Park. The place was quiet when I popped in for an early lunch, with just a couple take-out orders coming through while I was eating. It shouldn't be. You will not find better croquetas at $1.25 a piece, or a more satisfying $8 sandwich. Miami Smokers' shop is just a couple miles away on 27th Avenue. Tampa denizens will tell you that salami is customary, but I don't think I've ever seen it in a Miami Cubano. Which I suspect are often two-week stages that involve a lot more standing and watching than cooking. Wow. This looks amazing. I will definitely give it a try sometime in the next few weeks!